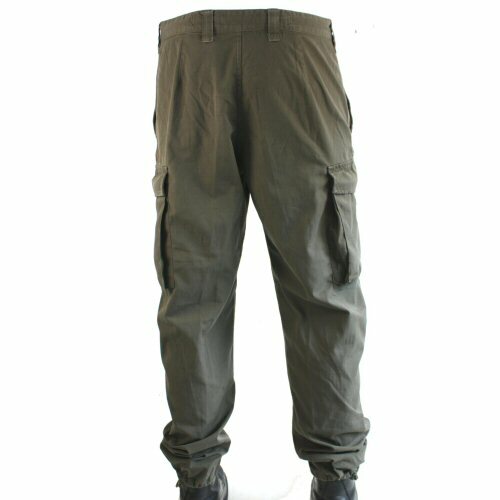 Genuine issue Austrian Army olive ripstop combat trousers, good used condition. 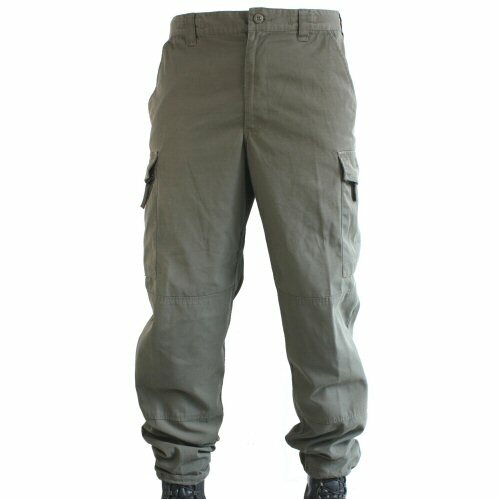 The trousers are made from quick drying, tropical weight 67/33 poly-cotton. 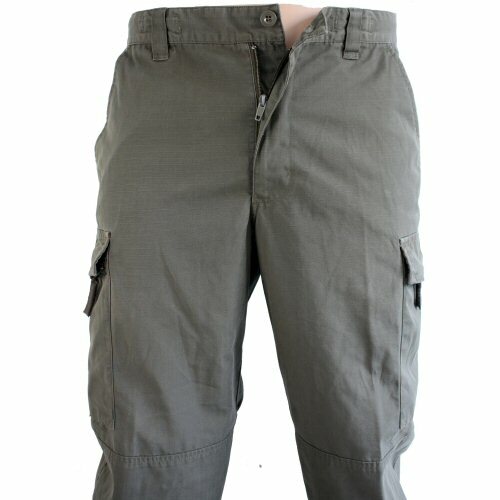 Features include: button waist and zip fly, two hip pockets, 2cm wide belt loops which are 4.8cm long, large leg cargo pockets closed with zipper, flat watch pocket inside each cargo pocket, knee reinforcement patches and elastic ankle drawstring with toggle adjustment. Inside the waist belt are four points for attachment of braces. Sizes: 8892IIIIV 34in waist, 29in leg; 8892VVI 34in waist, 30in leg; 96100III 36in waist, 27.5in leg; 96100IIIIV 36in waist, 29in leg; 96100VVI 36in waist, 30in leg; 104108IIIIV 38in waist, 29in leg; 112IIIIV 42in waist, 29in leg. Available options are: 32XS , 32S , 34XS , 34S , 34R , 36XS , 36S , 36R , 36L , 40S , 40R , 42S . 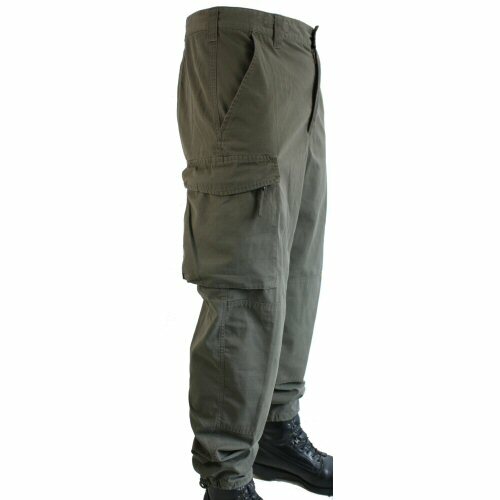 Left side view of the trousers showing hip pocket and leg cargo pocket. The rear of the trousers. The trousers close with button waist and zip fly. 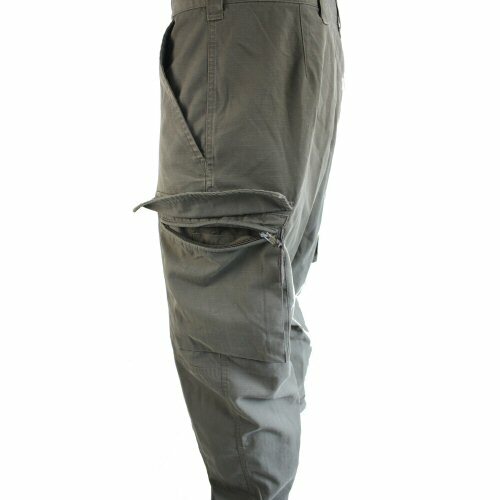 The leg cargo pockets open with zipper and also have a small internal patch pocket inside. 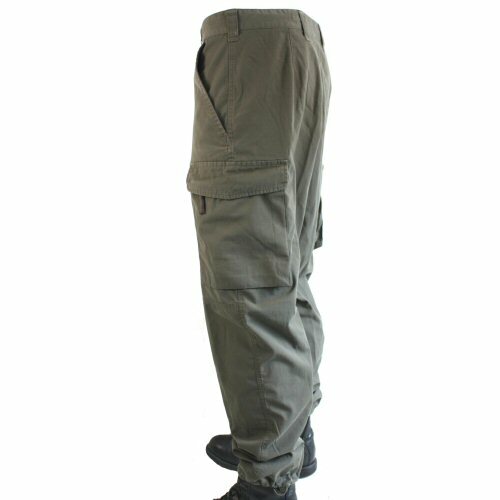 The right side of the trousers showing the knee reinforcement patches.